The 2013 Legalize Blast Campaign is an effort to attract strong attention to the issue of FULL Legalization of Cannabis/Hemp in the USA. We want to do this by targeting ALL of it's elected officials. From the Local County Commissioners to the President of the United States, all of our elected officials need to be contacted and asked to end this unnecessary prohibition on cannabis/hemp. We are now $16,000,000,000,000.00 in debt so its obvious what THEY have been doing is not working and we need a new plan. Just like Colorado and Washington have done, the rest of the United States can legalize cannabis but we will all have to work together. The Legalize Blast will work like this: Below is pre-typed letter for you to send and email to the elected officials. All you will have to do is copy and past the letter into a word document. Then just print, sign and mail your copies. You can add your own personal message at the end if you like but it is not needed. Please remember to keep all letters positive. Do not talk about negatively-oriented topics. Complaining about those problems to them does not further the core purpose of this mission. We must unite as a purely positive force to get elected officials to take notice. You will then mail as many letters to Senators and State Representative as you like. We want to bother them with this all day everywhere they go. They can ignore us at the office, but if we blast their homes with letters or even calls we will be much harder to ignore. We need to let our lawmakers know what WE want! WE are the people. WE elected them. THEY work for US so THEY must do their jobs! 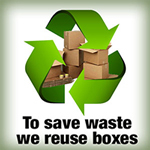 For this to work we need to send thousands of letters, so getting EVERYONE to help is crucial. Please share and post this everywhere. The cost of a stamp is not much so it is up to you to get these letters sent so we can see real change in the U.S. E-mail as many of letters as you can. Mail as many letters as you can. The more we send the better. When they see the overwhelming support of legalization of cannabis they will have to get on board with us. 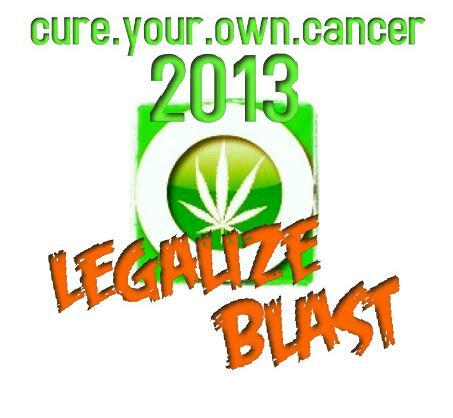 Please send any info on the elected officials to Legalize.Blast@cureyourowncancer.org. Thanks for your help in this. I support the Legalization, Taxation, and Regulation of Cannabis in the United States of America. I can no longer stand by and watch such hypocrisy override what is truly just in this country. Cannabis is useful for so many things. It happens to be the most durable fiber on the planet with uses we can’t even fathom, yet is the most underutilized. Cannabis also has proven medical benefits like the ability to kill cancer cells while leaving healthy cells alone, yet the government still fails to admit these facts when they sponsored the testing. This leaves me to believe that there is much more out there that can be explored if Cannabis were to be legal. As a citizen of this great country you were elected to be my voice. That is your elected duty and I expect you to uphold your commitment to me! At the very least the legalization, taxation and regulation of Cannabis should be a topic of discussion . Take a look at states such as Colorado and Washington. They have just passed monumental bills in regards to the legalization of cannabis for adults 21 and over. This was something that had never before been thought possible. When this happened, chaos didn't ensue and the sun still came up the following morning as it has for thousands of years. It is evident that the war on Cannabis has failed. It is time to end the prohibition. With your support we can bring this issue to light and show the true hypocrisy in our laws regarding Cannabis. With the national debt totaling well over $16,000,000,000,000.00 it is clear that we need to reevaluate how we spend our money in such a cash strapped time in our country’s great history. The taxation of Cannabis can bring real money to our Country. We can use the money and put it towards bettering this nation and getting us out of debt YOU got us in! Its time for you to listen to the people of this country. I look forward to hearing from you soon.